If you like to get the most bang for your buck, the 2010 Volvo S40 will impress you with its style, content and price. Long known for its emphasis on safety, Volvo carries on the tradition with side-impact and side-curtain airbags, the Whiplash Protection System and other safety features. Ownership of my s40 is enjoyable experience. I do not have any problems with my car in fact I find the car is problem free and I enjoy ownership of the car and driving the car. I get a smooth and comfortable ride and the gas mileage is good. I do not know what else to report about the car other than perhaps adding that my dogs enjoy riding in the car. Reliable/ nice looking mid size car. Great mid size car. Hugs the road, easy on gas, comfortable seating in the front but very uncomfortable sitting in the back of the car. Accelerates quickly making it easier/safer on the interstate. This car also has a great stereo system which I totally love. The most important thing about my car is that it is very safe. I like the safety features of my car. I also like that it gets amazing gas mileage. It has a very nice smooth ride. The only downfall is that I wish it were bigger now that I have a child. 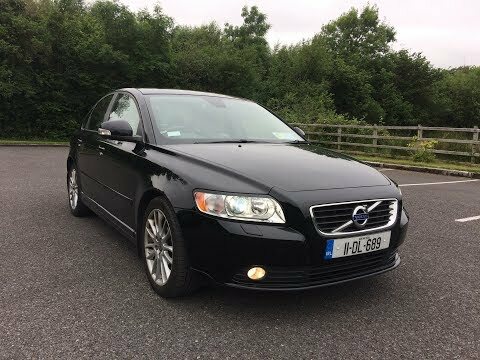 2010 Volvo s40 with only 67,000 miles!